“The coolest woman in Norway” (at least according to the Norwegian Ambassador to the UK), Anne Lise Frøkedal returns with a new single, ‘Believe’ in advance of her second album, which is scheduled for release in autumn 2018. It is the third since her 2016 debut album Hold on Dreamer, which was Norwegian Grammy-nominated. The writer witnessed a show on the supporting tour for that album in a Manchester pub during which she was treated to a spontaneous Flamenco dance by participants at a hen party during a performance of her most serious song. Her reputation for “cool” was fully justified on the night. Icelandic electro-pop dance act Sykur (‘Sugar’, but not in cubes) last toured the UK getting on for five years ago and blew away just about everyone who saw them at a handful of gigs and a festival – Kendal Calling. They compose in both English and Icelandic, choosing which language best suits the song as they are writing it. 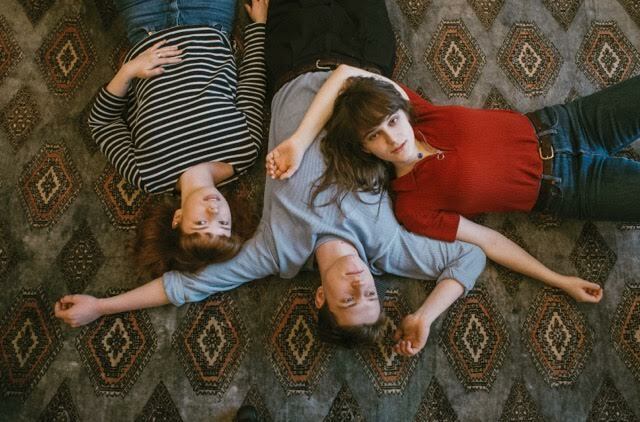 Their latest single, ‘Loving None’ is part of a package of new work (they have so far released only two EPs since 2009), and is a little more sedate than their usual output. The follow-up, MG2, was released in his native Sweden a couple of years ago but in the UK and a host of other European countries only on 16th February this year. He is currently working on two further albums, 4 and 5. The absence of 3 is unexplained but that’s symptomatic of Granditsky, a fascinating character who divides his time between music and social work and who could, visually, have stepped right out of a Stanley Kubrick film. Irish band The Altered Hours have announced details of a new EP On My Tongue, set for release 09 March 2018 on Art for Blind/Penske Recordings. ‘Over The Void’ is an urgent plunge into the abyss on the back of swirling guitars fast-paced percussion, “What did you say to me?” sings Altered Hours singer with the frustration in the face of a blankness. A conversation started but not continued. The blind faith of the pilgrim who keeps seeking but does not know why convinced nonetheless and set alight by the unknowable.